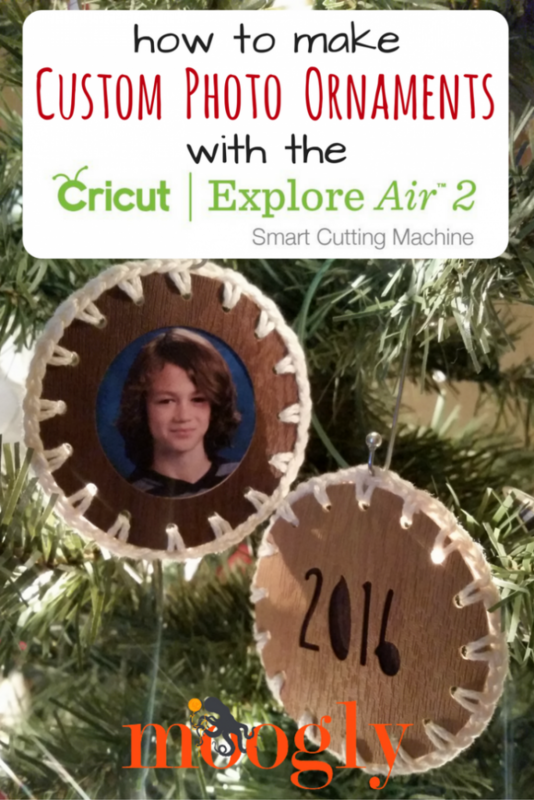 Custom Photo Ornaments with the Cricut Explore Air 2! Disclaimer: This post is sponsored by Cricut, and includes affiliate links, but all opinions and craft ideas are my own. I’ve been having so much fun with my Cricut Explore Air 2 this holiday season, and I wanted to share one of the custom designs I’ve recently created – Custom Photo Ornaments! The Cricut Explore Air 2 can do so many things – cut, write, score a whole variety of materials! 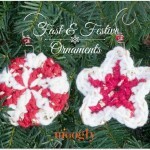 It’s perfect for making gifts, cards, decor – whatever you can think of! This year, we wanted to do something special with the kids’ school photos… something nicer than the usual “kids ornament” genre. And I had to add a bit of yarn of course. So with Cricut Faux Leather and Lion Brand 24/7 Cotton, this is what I came up with! And here’s how I made them! To create the files, I used Cricut Design Space, and the already provided shapes and fonts. In fact… except for the “2016,” it’s all circles! I just used the “insert shapes” tool to make the design, layering them and making holes to crochet through later. The font I used is one included with the Cricut Design Space, called Kyden (the Bold version). Then, I used the “Custom” setting on the Cricut Explore Air 2 to set it to Faux Leather – I love that it will cut without having to switch to a deep cut blade! From there, the Cricut Explore Air 2 does the work until it’s time to assemble! By doing half of one color of the Faux Leather, and half in another shade, I will be able to reuse the internal circles from the photo hole as backing for the 2016 cutout! Assembly is pretty easy. 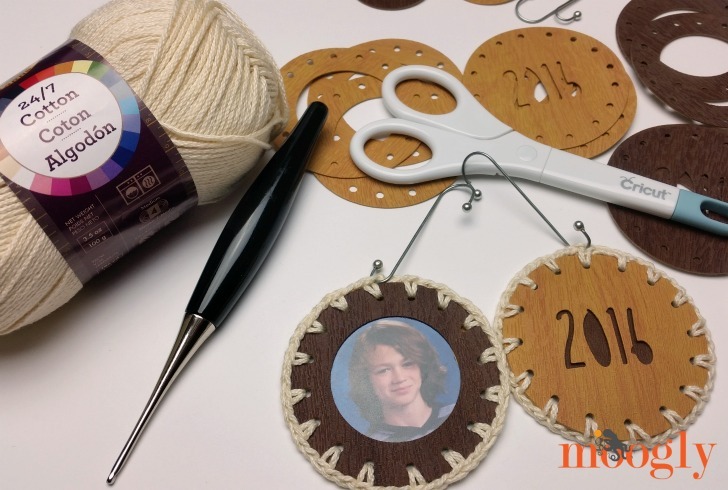 Just cut the photo to fit, glue it within the circle, add a backing in a contrast color so the 2016 with pop, and then line up the holes and crochet through them to finish it off! Or if you don’t crochet, you can just sew them together! There are lots of decorative stitches on the web as well to explore! Cricut Design Space does take a little bit of learning, but it’s super easy to Google directions when you get stuck, and it’s so fun to play with! You can use the provided shapes and files, or upload your own designs. I’m no expert, but I’m learning and making as I go. It’s so fun, and I hope you’ll give it a try! 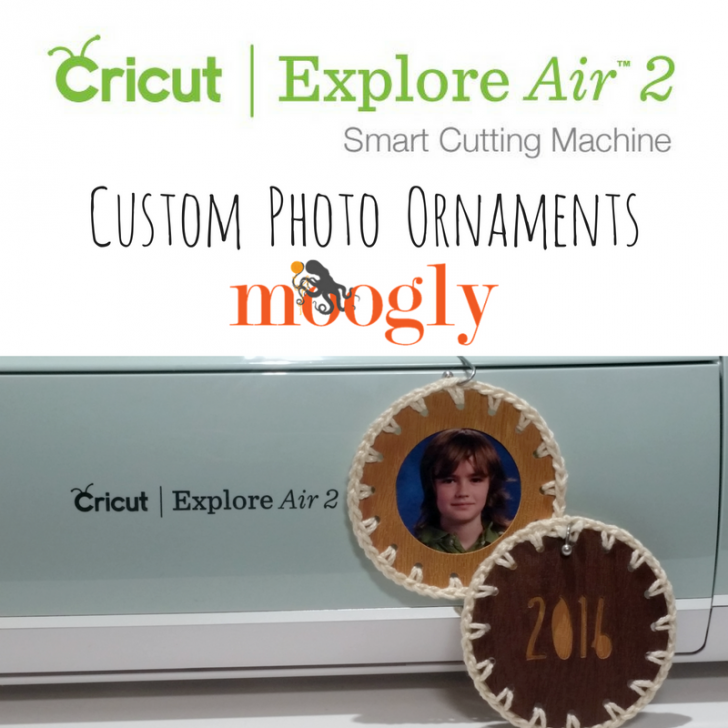 Click HERE to check out what else you can do with the Cricut Explore Air 2! Get Moogly on your favorite social media sites: Facebook, Twitter, G+, Pinterest, Instagram and Tumblr, and sign up for the free Newsletter so you don’t miss a thing! This post was sponsored by Cricut. 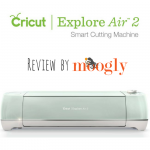 The Perfect Gift for Crafters: Cricut Explore Air 2 Review! 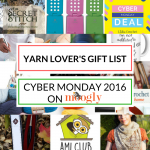 Yarn Lover’s Gift List: Cyber Monday 2016! 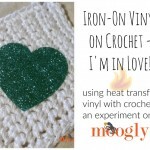 Iron-On Vinyl on Crochet – I’m in Love!